Stands for Chee Cheong Kai which formally known as Petaling Street. I was stunned when I first heard le bf say 'we're going to CCK' and I looked at him like he speak alien. Lololol. He say MBS boys refer Petaling Street as CCK. Don't know real or not haha. Tonight's dinner is one of the famous dish you can find in Petaling Street - Portuguese Grill Fish which located beside the hallway of Hong Leong Bank. Behind the Loh Han Guo drink stall. Ordered a medium size grill stingray. Hot and spicy, super delicious. 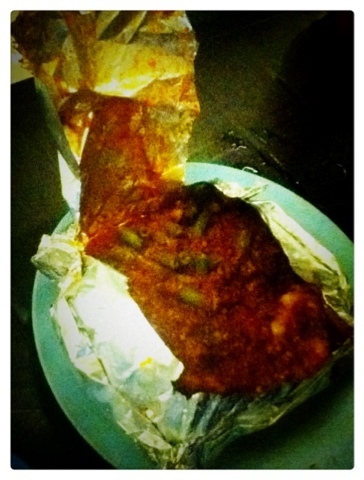 Too bad I can't really consume spicy food, or else I'll lick the aluminium foil clean lol. But still, super fresh and tasty stingray! The stingray was marinated along with long beans and wrapped up in an aluminum foil then grill it on the coal stove. Waited quite long for it as they cook upon order. 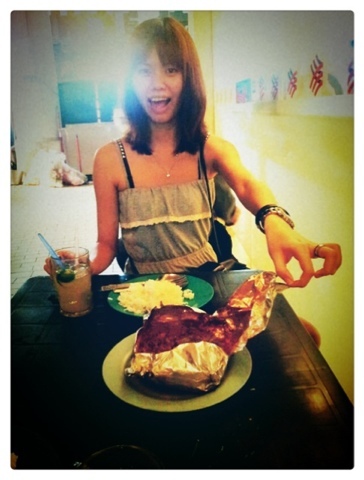 Don't go if you're super hungry you probably will start scolding before your food is half cooked lol. After dinner, Lo Han Guo drink is a must... And I saw this Hello Kitty stall beside the drink stall. Super a lot of Hello Kitty merchandise that will make all the Hello Kitty fans scream out of their lungs. 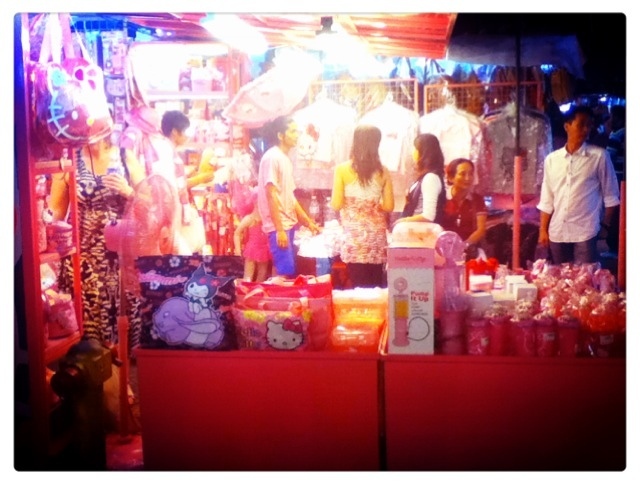 I'm kinda amazed that Hello Kitty invaded into Petaling Street. Lol. When is Rilakkuma's turn then?